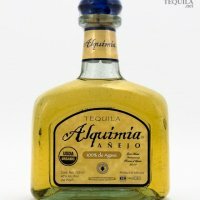 TEQUILA, Mexico - Although I've traveled throughout Mexico for more than 25 years, my interest in tequila rarely extended beyond an occasional margarita. But it took only a sip of icy-cold, crystal-clear El Tesoro de Don Felipe Silver to transform my misperception of the spirit.This was not the tequila of nasty hangovers and spring-break binges. The handcrafted elixir touched my tongue with an exhilarating warmth and complexity that I would have expected from only the finest of French cognacs. It was at once bold and peppery, yet smooth and sublime, with a slight hint of fruitiness. A tasting can be an epiphany, infusing visitors with enthusiasm to learn more, not just about the spirit, but also its namesake town. Roughly 98 percent of all tequila is born in the agave fields surrounding the Mexican town of Tequila, a village of cobbled streets and ocher-colored walls 30 miles northwest of Guadalajara in the state of Jalisco. Agave distillate is naturally clear and colorless. When aged in oak barrels, it achieves added flavor and color. True tequila connoisseurs pan the popular ritual of licking a pinch of salt from one's hand and biting on a slice of lime before downing (or "shooting") a caballito (pony or shot glass) of tequila. "Such a process might well ameliorate the unpleasant impact of gulping down a harsh, inferior tequila," says Lucinda Hutson, author of Tequila: Cooking With the Spirit of Mexico. "But, in reality, it's just a popularization of a rowdy machismo ritual born long ago in border-town bars. Good tequila is for savoring, not slamming," says Ms. Hutson, a Texan who has lived in Mexico off and on for years. "Tequila is to sophisticated Mexicans what fine wine is to the French: an integral part of a leisurely meal," she says. Like Oporto, Curacao or Champagne elsewhere in the world, Tequila, a town of 55,000 residents, has achieved a reputation far out of proportion to its size. Most foreigners know the name, but few imagine there is a place called Tequila. Nestled in a valley beneath a dormant 9,700-foot volcano, Tequila is surrounded by thousands of carefully cultivated acres of blue-green agave fields that blanket the hillsides. Tequila residents, most of whom are employed in the fields or distilleries, say it's a magical place where red soil grows blue plants and where relative prosperity has come to those willing to do the hard work required to make tequila. The town is home to about a dozen distilleries, predominant among them the two industry giants, Cuervo and Sauza, whose massive and modern operations (now owned by multinational firms Grand Metropolitan and Beam Global Spirits, respectively) work on three shifts around the clock to produce the lion's share of nearly 56 million gallons of tequila exported annually. According to the best records available, Cuervo is the oldest continuously operating distillery in town. In 1795, King Charles IV of Spain issued a license to Jose Maria Guadalupe Cuervo to manufacture mescal. Sometime in the early 19th century, production of tequila began. Sauza boasts a long history as well, founded by Don Cenobio Sauza in 1873. Both companies offer tours with tastings for a nominal fee. At Sauza, a visit begins at Rancho el Indio, an 18th-century Sauza family farm on the edge of town. Here, visitors learn about the agricultural side of production, perhaps the most fascinating part of the tequila story. An agave plant takes eight to 12 years to mature and can achieve a height of almost 6 feet. When the plant is ripe, harvesters march in platoons through the fields using a sharp, half-moon-shaped metal blade with a long wooden handle to hack off the long barbed spears and sever the plant from its shallow roots. The agave's pineapple-shaped heart weighs 50 to 100 pounds and ultimately will yield an average of about 1.5 gallons of tequila. "In less than three minutes, a [worker] can harvest an agave that took 10 years to mature," says Sauza tour guide Jose Luis Rivera. "Grapevines may take as long to produce good fruit, but they do so every year. But agave bears its fruit only once in a lifetime." Good planning is vital. This became all too apparent five years ago, when skyrocketing demand for tequila overtook growers, who couldn't supply enough agave. Production was cut back, and the price of tequila increased as much as 20 percent worldwide. More than 30 million additional agaves were planted, but production won't see substantial increases for some time; nor are prices expected to moderate appreciably. At Sauza's La Preservancia Distillery in town, about 400 tons of fruit are conveyed daily into giant stainless-steel autoclaves that rapidly cook it under steam pressure to begin the process of converting the agave's inherent starch into fermentable sugars. The Sauza process is dramatically different from methods used at a traditional distillery such as El Tesoro's La Altena facility. Set on a high plateau near the village of Arandas, La Altena is one of a handful of boutique distilleries that continue to honor the old ways of producing tequila. La Altena employs firebrick ovens to slow-cook the agave for 48 hours and then let it cool another 24 hours. It is then placed in one of the few stone-crushing pits still in regular use. A tractor is used to pull the massive stone around the circle, crushing the agave into pulp to release the sugary juice. The extract is then ladled by hand into wooden buckets that are hoisted upon the heads of workers to be dumped into a 790-gallon fermentation tank. Next, a secret yeast formula is introduced to ensure the consistent flavor admired by the brand's growing cadre of aficionados. After it is fully fermented, the heady mash passes through its two-stage distillation process in vintage copper pot stills and is then aged and bottled. Back in town, Tequila boasts a pleasant plaza lined with laurel trees, a hulking colonial-era stone church, a tequila museum and Cuervo's elegant visitor center, where guests can sign up to tour the massive La Rojena Distillery, the largest of its kind. A gallery of upscale shops features Cuervo products as well as fine art and handicrafts, jewelry and even a resident artisan. After a tasty meal at La Fonda restaurant adjacent to the Cuervo visitor center, I set off to return to Guadalajara, where most visitors stay. My route leads past an impressive bronze monument to the hardworking harvesters and a string of rickety tourist stands selling souvenirs and cheap tequila in fake oak barrels and plastic jugs. In the countryside again and passing through endless rows of agave, I can't help but agree with locals who consider as magical this place where red soil grows blue plants. Most visitors to Tequila make their base in Guadalajara. Mexico's second-largest city retains colonial charm, even as its population approaches 5 million. Hotel Plaza Jardin is on Tequila's town square, a block from the Jose Cuervo factory. Rooms, basic but clean, cost about $20 for one person. -See a bottle you'd like to buy? If you're returning to by air, you can bring back multiple liters, but you'll have to pay duty after a certain amount. Check with your local state customs official for exact details and restrictions. -See the U.S. Customs and Border Protection Web site (www.cbp.gov) and click on "Travel," then "Know Before You Go," then "Determining Duty." -Airline carry-on rules require purchases to go in checked baggage. Pack well, or your clothes may be doused in tequila.